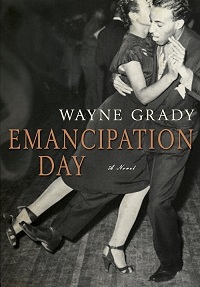 Nationally acclaimed author Wayne Grady will be on Denman Island February 28 in the Back Hall to read from his intriguing novel, “Emancipation Day” which was a best seller in 2013 and won the Amazon.ca First Novel Award. He will also read excerpts from his yet to be published new novel and answer questions about both fiction and non-fiction writing. Grady is this year’s Haig-Brown Writer in Residence at the Campbell River Museum, and his visit to Denman is one of several appearances in the Comox Valley in the coming weeks. Living in Kingston with his wife, the writer Merilyn Simonds, Grady is also the author of many non-fiction books, some of whose titles show the range of his interests: “Bring Back the Dodo: Lessons in Natural and Unnatural History“; “Tree: A Life Story“, written in partnership with David Suzuki; “The Quiet Limit of the World: A Journey to the North Pole to Investigate Global Warming“; “Vultures: Nature’s Ghastly Gourmets“; and “The Nature of Coyotes“. He’s also an accomplished translator of books by French-speaking Quebec and New Brunswick authors, and won the Governor-General’s Award for Translation for Antonine Maillet’s “On the Eighth Day“. 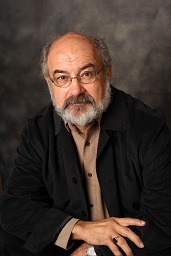 His most recent memorable translation was of Louis Hamelin’s “October 1970” about the October crisis. Wayne describes “Emancipation Day” as ‘a novel of denial and identity’. It’s a story of family secrets, racism and post-WWII society set in St. John’s, Newfoundland and Windsor, Ontario during and shortly after the Second World War. It features a protagonist who discovers as an adult that his heritage is African Canadian. This is what Grady says about his novel: “The novel is inspired by the experiences of my parents: 15 years ago, I discovered that my father was black and had passed for white when he was 18, and never told anyone, including my mother and myself. I began writing this as non-fiction, but the story gradually expanded beyond memoir into a novel.” The Readers and Writers Festival is pleased to bring this award-winning and engaging writer to Denman as a mid-winter treat for readers of both fiction and non-fiction. He’ll be introduced by Des Kennedy who will briefly trace the historic dots connecting the legacy of Roderick and Ann Haig-Brown, Harrowsmith Magazine (which Grady previously edited) and the 32 Denman islanders arrested for civil disobedience in Strathcona Provincial Park. As with solo sessions at the July Readers and Writers Festival, there will be a $5 entrance fee. Wayne Grady at 1 pm, Sunday, February 28, in the Back Hall. Be there!